Individual conducting students will work one-on-one with master conductor, Dr. William Payn and accomplished composer Sondra Tucker will work with aspiring and seasoned composers. This event gives experienced conductors the opportunity to further perfect their skills through one-on-one training with Dr. William Payn. Not quite ready to step to the podium? Then participate as a Ringer-Observer. You will ring for the student conductors and watch Dr. Payn work first-hand. An application is required before acceptance to the event. The application requires candidates to provide a link to a video of them conducting. The video should show a full body view (head to toe) of the applicant facing the camera while conducting two selections of contrasting styles. The application will also request information about each candidate’s music education and handbell experience. Ringer-Observers do not need to apply. A completed registration for the event is your confirmation. Fees include lunch on Sunday, Monday, and Tuesday. Application and registration materials will be available February 15. Include a link to a RECENT (made within the past 6 months) video on YouTube of you conducting two pieces of contrasting styles. The camera taking the video should be placed above and behind the ringing choir so that it captures a full-body view of the conductor facing the camera. Load the video to YouTube as “unlisted” and provide the link in the space indicated on the application form. Videos not following these requirements could result in your application being disqualified from consideration. Submit the completed application by 5:00 PM Eastern on April 3, 2018. CONDUCTING CANDIDATES SHOULD NOT REGISTER FOR THE EVENT BEFORE THEY ARE OFFICIALLY ACCEPTED. Ringer/Observers — follow the registration link on the login welcome screen to complete and pay for your registration. All event activities will take place at DeVos Place Convention Center and the Amway Grand Plaza Hotel in Grand Rapids, Michigan. The two venues are connected via a skywalk. The Amway Grand Plaza, considered the finest hotel in West Michigan, sits snuggled in downtown Grand Rapids — surrounded by art museums, stunning architecture, a lively music, sports, and theater scene and arguably some of the best restaurants and the very best breweries in the entire country. Not to mention the incredible scene surrounding you before you even walk out of our doors. Go to the Lodging and Transportation page for rates and reservation information. To ensure that we are able to meet the room block required by the Amway Grand Plaza, registrants who opt for alternate lodging are required to pay an additional surcharge of $150.00. This surcharge does not apply to registrants with a home address within a 60-mile driving radius of the event site. Lodging requirements will be confirmed using a rooming list of reservations provided by the Amway Grand Plaza. 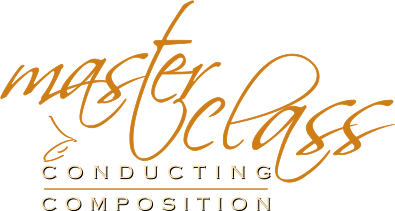 Refunds will be made for Master Class registration cancellations received in writing or by email until June 15, 2018, less a $150 administrative fee per registrant. Cancellations made after June 15 for any reason (including medical issues, family emergencies, etc.) are not refundable. This event gives composers the opportunity to hone their skills through one-on-one training with accomplished composer and arranger Sondra Tucker. Up to six composers will have the opportunity to work one-on-one with Sondra Tucker to hone their skills in composing and arranging. Students will have access to keyboards and ample time to work on compositions. There will also be opportunities for group discussion and collaboration. Registration will be on a first-come-first-served basis. Each registrant will be asked to provide basic information about their background in composing and arranging and should have at least one composition/arrangement in process when arriving at the event. Refunds will be made for National Seminar registration cancellations received in writing or by email until June 15, 2018, less a $150 administrative fee per registrant. Cancellations made after June 15 for any reason (including medical issues, family emergencies, etc.) are not refundable. Dr. Payn is incredible at meeting directors of all levels where they are and moving them forward. I found that even attending this event as a ringer, I gained incredible insight into individual requirements for conducting that I might not have realized were needed. Amazingly, while I arrived terrified, I left more aware of my strengths and weaknesses and more excited to work toward improvement. In 2014, I attended the HMA Master Class on Handbell Arranging and Composition with Sondra Tucker. That weekend changed my life. During those four days, I learned from Sondra and my classmates and was able to hear my compositions played. I experienced revelation after revelation. I don’t think I would have written music professionally had it not been for HMA, Sondra Tucker, and the Master Class on Composition.